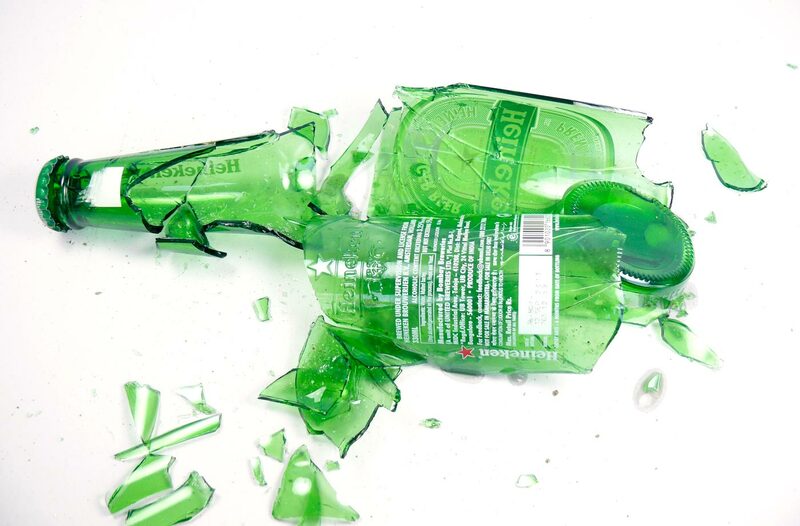 A photo-shoot involving a smashed up glass bottles is not the safest of the thing to do especially when a 9 year old kid is involved, which is unavoidable as Manu HAS to be involved in a photo-shoot if I am doing it. To ensure that he doesn't get hurt, I did this shoot in my mind a few times before I actually did it. I started with a strong background, a background that can take some punishment as I planned to break the bottle on it. I decided to go with a card board instead of a paper and after I placed the bottle on it, I asked Manuraj to stand at a safe distance while I wrapped my hand in an old towel and smashed the bottle using a brick. I couldn't just drop the brick on it because I had to prevent small shards of glass flying around on which Manu or I might step or sit while taking pictures. The next challenge was to ensure that he doesn't touch anything while taking macro shots so I had to supervise the entire thing with great concentration and had to keep asking him to move his hands back if got too close. I also moved the bottle around when Manu wanted a different angle.